Friends, family, Queen City Nerve readers I’ve come here today to pay my last respects to one of the largest, oldest and most mistreated buildings in all of Uptown Charlotte. 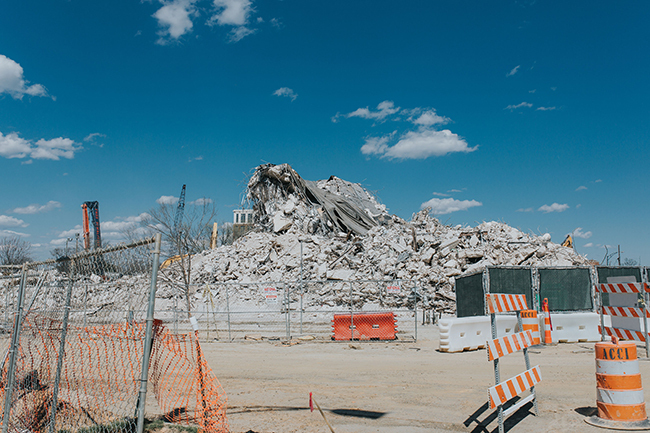 While we watch the James K. Polk building be removed brick by brick, I wanted to tell the story of a handsome and stalwart building that did not deserve this fate. A building that should have earned a historic designation by the city and the state. 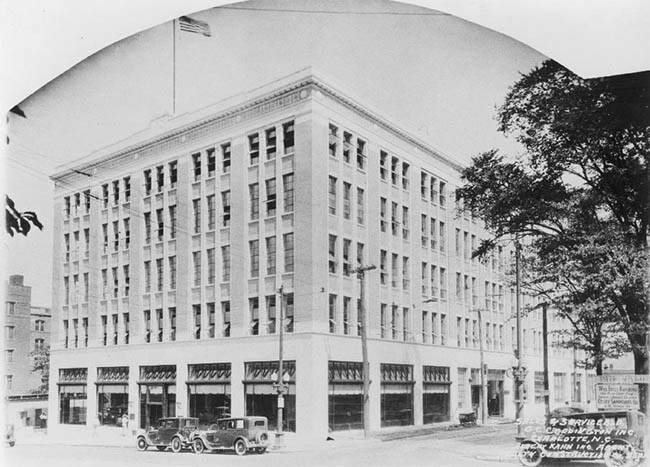 What we call the Polk Building today started its life out as the Coddington Building, a flagship Buick Dealership for local auto dealer C.C Coddington. Built in the neoclassical revival style by renowned industrial architect Albert Kahn in 1925, the building towered stoically over the corner of East Trade & Graham streets for the past 94 years. What was happening within the walls of the Coddington building was quite the operation. The first floor held a showroom for retail sales and a grand lobby built to impress — with marble, gumwood and gilt accents. The second floor held executive offices and a parts center where you could find most everything you needed. The third and fourth floor acted as storage for cars. The fifth served as a repair shop with the equipment necessary to handle any repair task. Each floor was built to structurally handle dozens of two-ton automobiles, even the roof was used for test drives. Which leads me to my one question: Why? Why is it that a building that was built to structurally support massive weights is now deemed too damaged to save and restore? Think about it this way, London was nearly leveled in World War 2, Charleston was burned down in the Civil War, both were rebuilt. The fact that we let a 94-year-old building in perfectly acceptable condition get demolished because of water damage and a few falling bricks is insane. If it was indeed in such a state of disrepair, it’s because of neglect and nothing more. It should have been the obligation of every landowner since CC Coddington, to give this 1920s architectural gem its due diligence. The Coddington building in its early years. I’ve sat idly by while people celebrate the removal of an “old and decrepit eye sore,” and I just want to remind people that some of the most cherished spaces in Charlotte that we shop, work, and live in today — Atherton Market, Highland Mill and the soon-to-open Optimist Hall, for example — were once old and decrepit eye sores, too. The city of Charlotte is constantly derided for its lack of history, and the fact that one of the last large pieces of architectural history is being torn down is completely unacceptable. We should be ashamed. 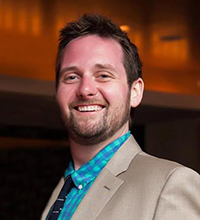 It’s time we take a long look at who we are as a city, and who we want to be. In a city devoid of historic properties, every single one that’s left deserves a chance to be redeveloped. Whether the end product be coworking, condos, a hotel, artist lofts or what have you, every building with history and architectural integrity should be saved. But alas, now we will have another copied-and-pasted residential tower that has no chance to weather time quite as well as the Polk building did over the last 94 years.